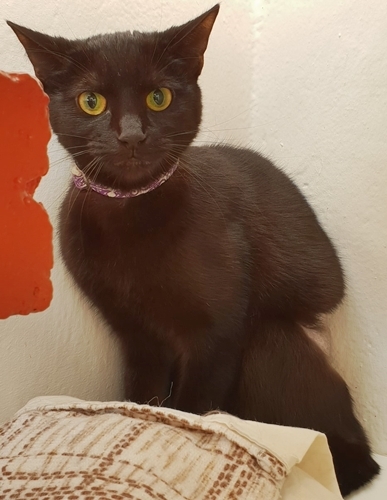 Published 9th April 2019 at 387 × 500 in Cats Looking For Homes. ‘Tiggy’ Black neutered female, just over a year old. Looking for a home as her owner could no longer take care of her due to their ill health. Tiggy is a little nervous at the moment so would not be suited to a home with young children.